Are you thinking of selling a home in Hudson, WI? If so, these 5 tips from The Johnson Group and Coldwell Banker Burnet will help. Take a walk through your home, room by room, and put together a fix-it list. Most items you are already aware of, you just haven’t found the time to make the repair. Now is the time! If you don’t have the skills for the job, hire a contractor, handyman, or whatever expert is needed to get it done right. Potential buyers will notice the details of projects not completed by a professional. In addition, items left undone, will catch the eye of the buyer and leave them wondering what else might be wrong. 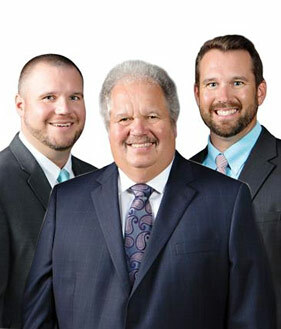 – The Johnson Group knows many professionals in the Hudson WI area, if you need reference, just let us know. Scrub every inch of your home, room-by-room. Make sure your windows shine, remove the screens, and wipe down the trim. If your carpet looks old and worn, have it professionally cleaned, or install new carpeting all together. Make use of air-neutralizing spray to cover up offensive odors. Once you’ve got it clean…keep it that way, so you can be ready on short notice for that perfect buyer! 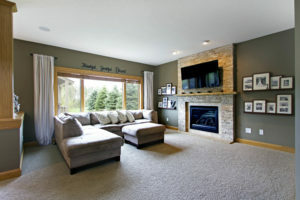 Staged homes typically sell for more money. Making sure your furniture and accessories work to enhance your homes appeal is the goal. Each room should be furnished appropriately (bedroom, office, playroom, etc.) and make sense to a buyer. This process often requires removal of some of your items to make the space feel larger. The marketing system provided by The Johnson Group provides our professional stager at no cost to our clients, making our listings in the St. Croix River Valley look their best! Your homes first few days on the market are crucial. Don’t waste this opportunity and discourage buyers from looking by having your home overpriced. Real estate agents and home buyers alike may assume you’re not motivated to sell, or that you are not interested in negotiating. In order for your home to attract attention from agents and buyers you home needs to be listed on the Multiple Listing Service (MLS), which all agents have access to. Otherwise, very few buyers will even know your home is for sale. In addition, the days of simply putting a, “For Sale” sign in the yard are over, as the internet is where everyone is looking. Your home needs to be easily found, have professional photos, full video, and be priced correct. This is where the services of an experienced and professional agent (The Johnson Group) will give you the upper hand on the competition. With so many details involved in real estate contracts, only a realtor or possibly an attorney will be able to properly protect your interests.